There is truly nothing quite like an outdoor wedding. Especially when the backdrop is at the scenic McMichael Gallery in Kleinburg, Ontario! The weather was beautiful and set the tone for George & Kaitlyn to tie the knot. With signs laying the way down the aisle that said words like ‘hope’, ‘patience’ and ‘love’ you could see that the Bride and Groom were well on their way to knowing the ingredients to a successful and happy marriage. 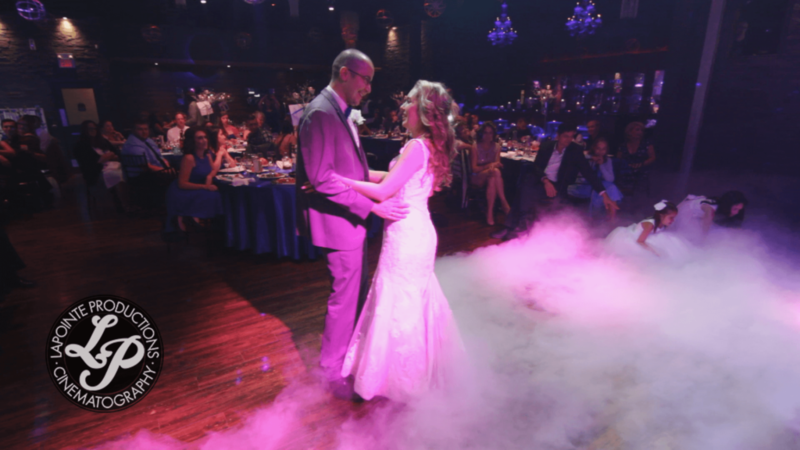 George and Kaitlyn exchanged their heartfelt written vows which were truly meaningful beyond words and you could truly see how genuine their love was for each other. With the exchanging of vows, rings and a single kiss, they were now Husband and Wife! After family photos on the McMichael grounds, the couple made their way off to the Babushka Club for the evening reception. With a wonderful atmosphere and staff, the night was filled with touching speeches by family and friends and wonderful performances by the dancers and musicians for the rest of the evening. We wish a prosperous future for a truly happy couple! All the best to Kaitlyn & George!